The Moto X has traditionally been a phone that was critically well-received and liked by those who had one, but not necessarily a big seller in the way that you'd expect in a flagship from a company like Samsung or LG. So, there are two different reasons why this news is what it is, but the fact still stands that the Moto X Pure Edition has (mostly) sold out through Best Buy. The Moto X Pure just went on sale through the retailer yesterday, but the Best Buy website is already showing that the 32GB black and white coated silicon rubber (CSR) models and the 16GB and 32 GB models with the bamboo backing are all sold out. However, the least expensive model - the 16GB black CSR model for $399 - is still available for purchase, which leads us to believe this is likely due to limited stock provided by Motorola in order to gauge demand for the device. Motorola knows that the Moto X has never been a huge seller, but it can be difficult to estimate demand for a device like this. It is definitely less expensive than other flagships, and the price difference between it and something like the Samsung Galaxy Note5 is in the sweet spot where the performance benefits of the Note may not be worth the extra $300 in outright cost. But, users still don't tend to buy phones this expensive outright, and there is no monthly payment plan option for the Moto X Pure. Maybe this will prove to Motorola that it can boost production, or maybe we're in for a classic Nintendo/Apple move of keeping stock tight and demand high until the holidays. Yeah, Gooo Moto. Hopefully they will able to sell more than 10 million Moto X pure device. Then they can order custom camera sensor from Sony for their Moto X Pure/Style (2016) edition. This year moto's camera is very good next year I want them to produce the best android camera. I would love to too but I don't think so, as this phone is already pretty inexpensive and looks like selling well. Why $350? You may as well say $300 or $250 then. If you even looked at the specs on this device. Its flagship with a mid range price. No, it has midrange specs with a garbage IPS screen, mediocre camera, and crappy battery life. It's priced right where it should be. 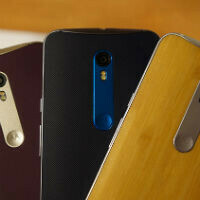 can u review moto x play PA? Mobile syrup as a review on YouTube. It's not super detailed but its still something. Here we go another year, another instance of poor stocking from Motorola. Here we go another year, another instance of poor trolling from Mxyzptlk. Its not about right or wrong, you may be right. Its about how you come to literally every Motorola article and bash it like they sexually assaulted you. here, iphone lover, 750p screen vs 1440p, 3gb ram vs 2gb ram, sd card, no sd card, do i need to continue? 800$ vs 399$? Hey Mxy were you saying that last year when people couldn't get their hands on the iPhone 6+ because of low stock? Podrick isn't saying you're wrong - he is calling you a troll. That's like calling the universe big. Oh look, Mxy is criticizing Motorola for something that Apple pulls every year like clockwork. The only time I can remember plenty of iPhones being in stock around launch day was when the 5c was launched, which just didn't sell like the 5s did. Hey Sniggly, if you still have your 2013 Moto X, and on Verizon think twice about the Lollipop update that's about to be released. I'm in the soak test and I'm having lots of issues with the phone ever since the update. Thanks for the tip, but the Moto X bit the dust after an extremely unlucky week. First I dropped it on the concrete at work, then on the sidewalk at home. After surviving many mishaps over the year and a half that I had it, it finally succumbed. :( I bought a used Droid Turbo to replace it. A Turbo, nice! I'm going to use the glitches with my device as justification to upgrade to the 64 GB Moto X Pure. I've gotten to tinker with it and it's awesome... though I think the screen is second rate to AMOLED displays. But so long as I don't hold it side by side with the S6 Edge it wouldn't really matter. Oh look Sniggly is being wrong again. You're comparing Apples to tangerines here. Get on the ball Phonearena. This phone has been in peoples hands and has been reviewed by other sites. Yet you guys lag behind and review crap phones that no one cares about. Get off your a$$es and review this phone already! Oh, I'm sorry! It's not a Samsung or Iphone. It's just lowly Motorola. I did a dry run of moto maker for this. So pretty, and terrific designs and spec upgrades. I'd consider it if my moto x hadn't come with a quick-hot battery. Or was mine the exception? Do you mean your battery gives off a lot of heat? Smartphones all heat up to an extent when being used a lot. My Moto X would get hot if I really pushed it for a while with something resource intensive, but no more so than any other phone I ever owned. I have been waiting for this phone to arrive here in the Philippines, Hoping it will come as Moto X style and the mid ranger the Moto X play.